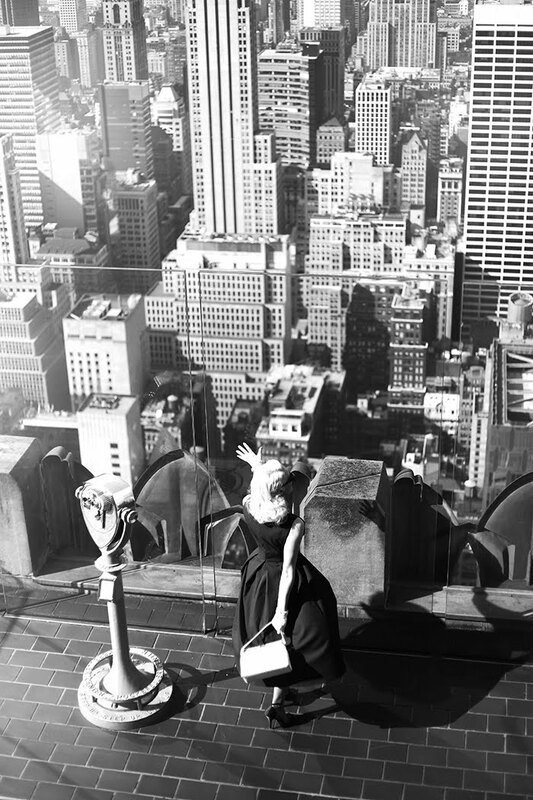 " -I want to marry Rockefeller. Dialoge from How to Marry a Millionaire reflects the rich history and wealth of 1930's landmark, Rockefeller Building. 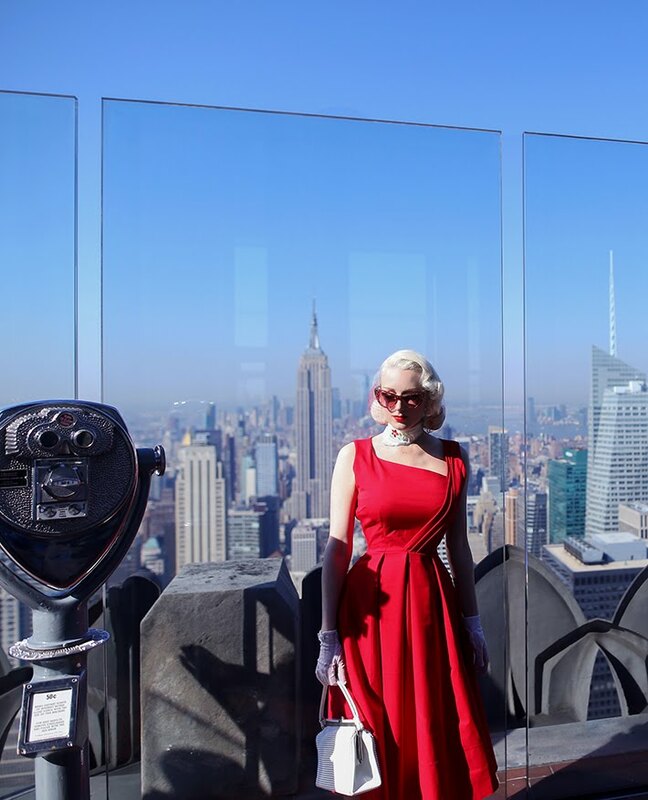 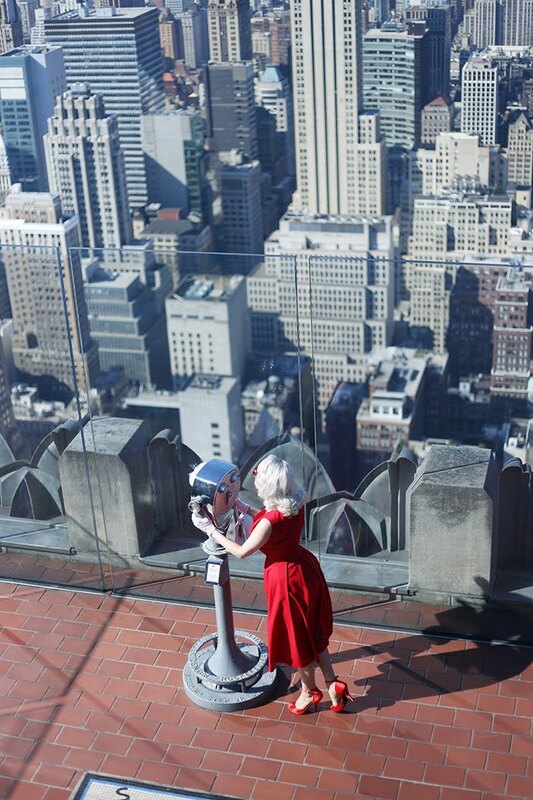 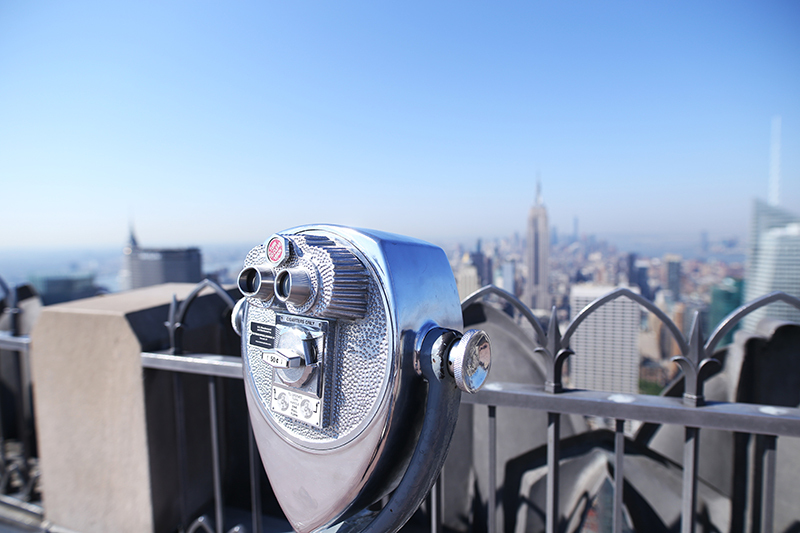 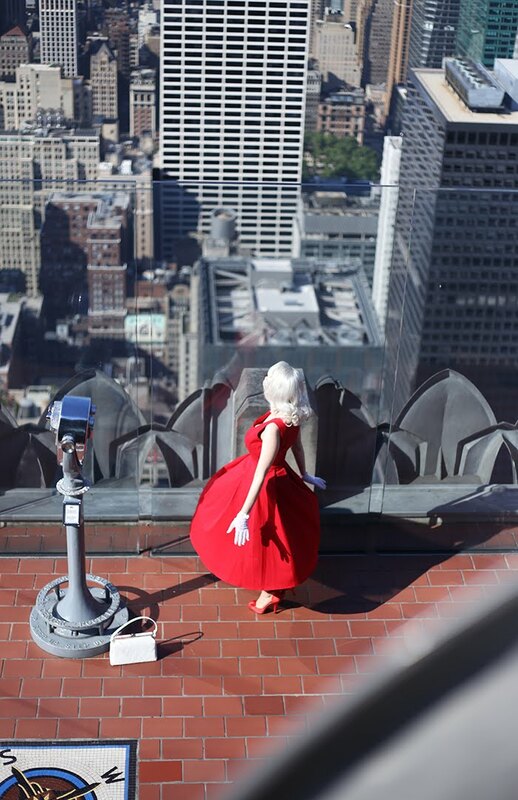 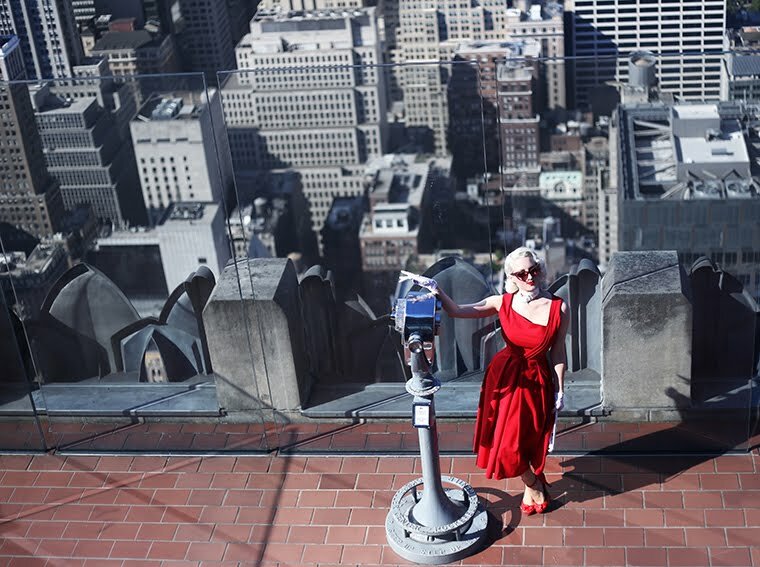 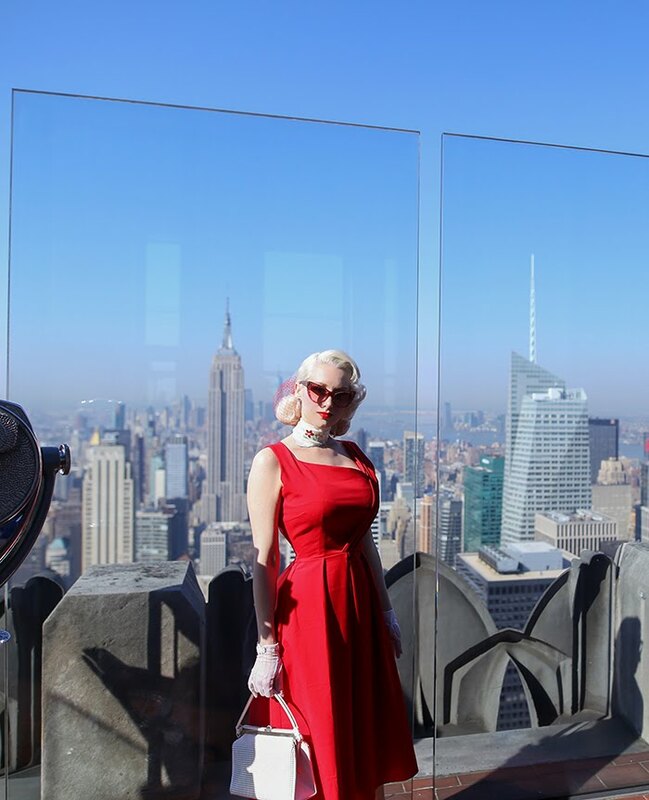 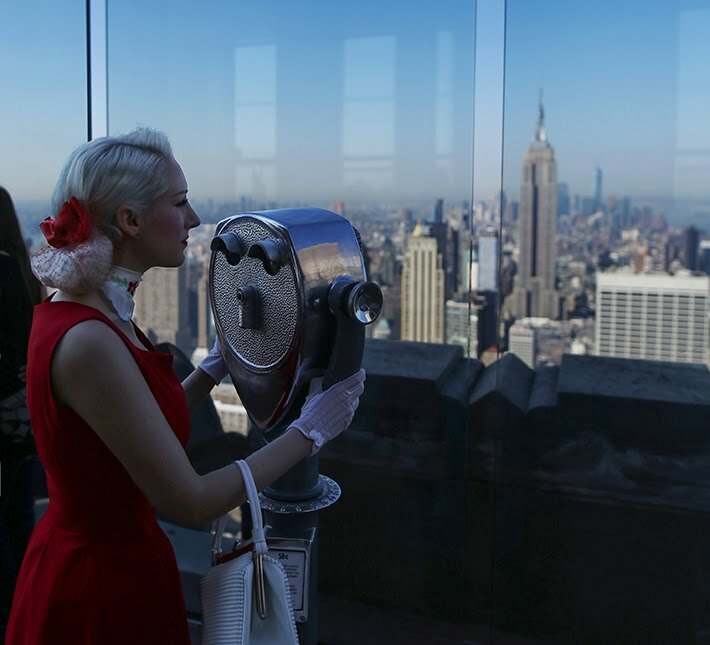 Looking out over New York City, another deco icon - and one of the most famous in the world, is in perfect view from Top of the Rock... The Empire State Building. 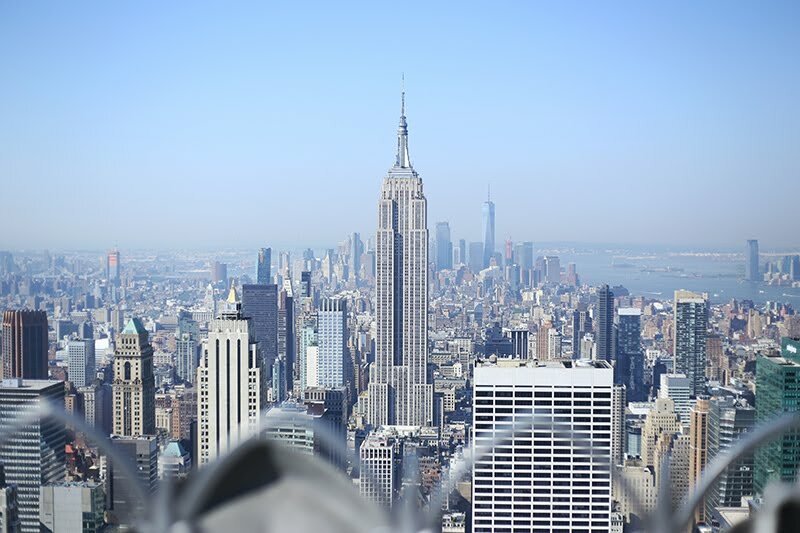 I can't think of a more amazing place to be for the 4th of July than this city of America's beginnings. 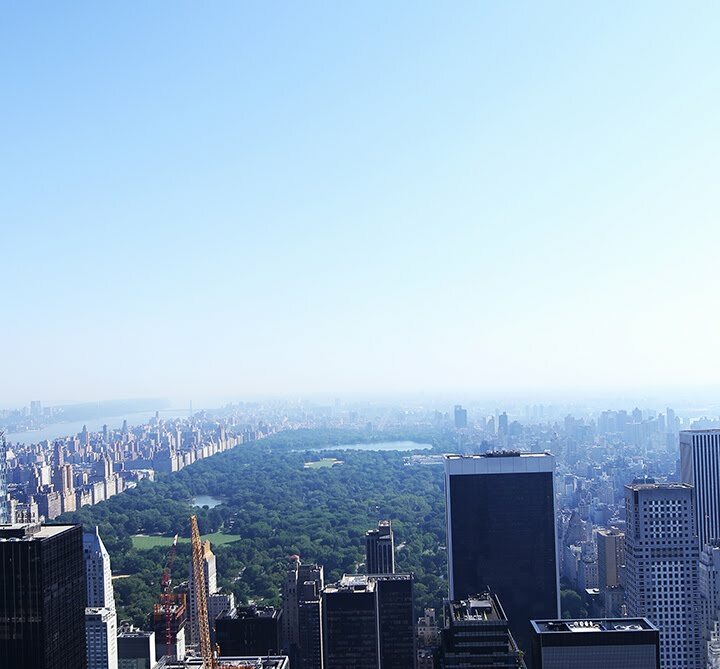 This view takes my breath away. 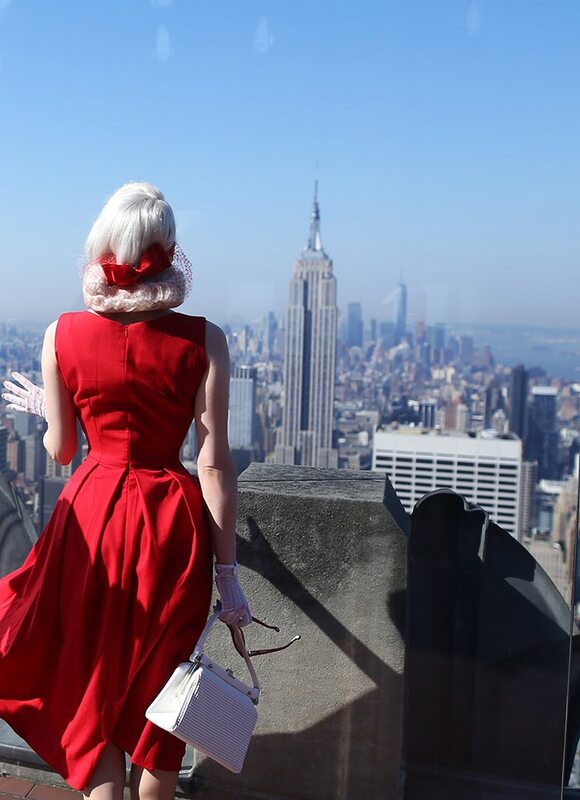 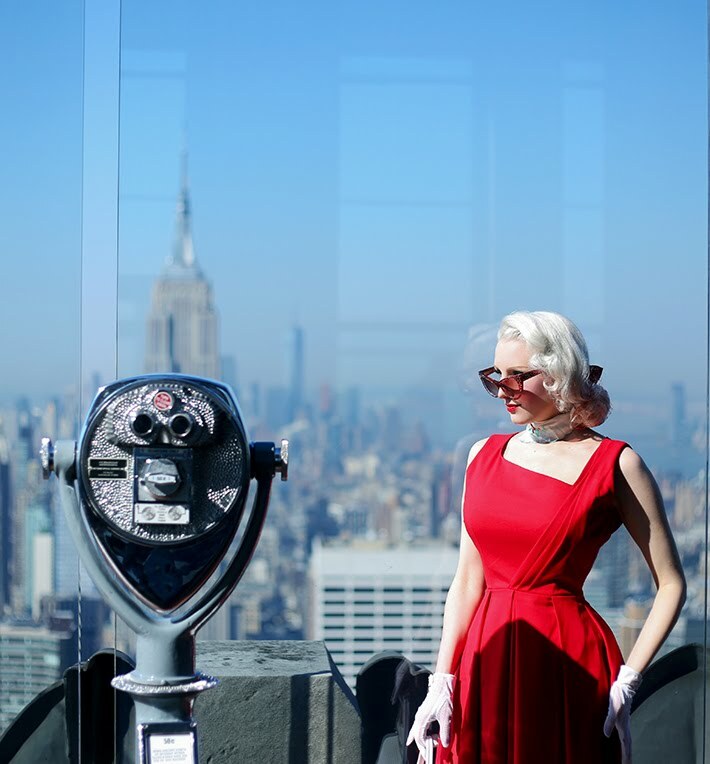 Just as Manhattan feels extra magical, there couldn't be a more perfect ensemble for the 4th than a classic red dress. 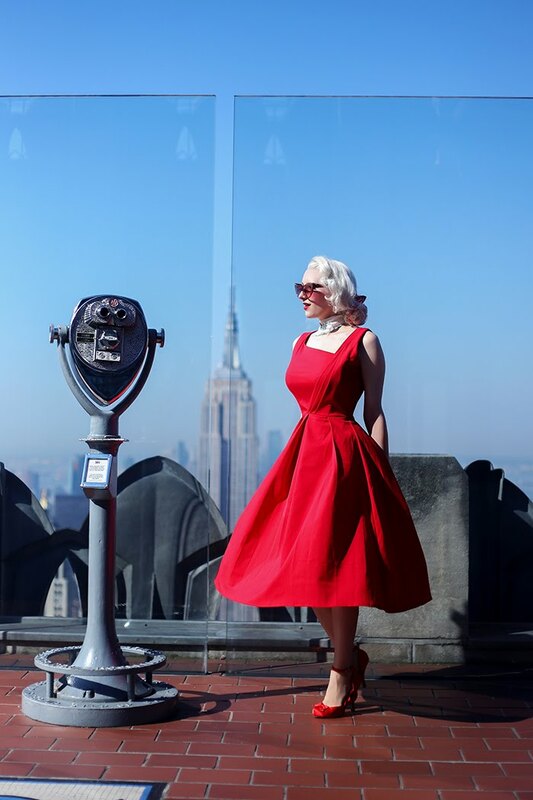 Heart My Closet offers one-of-a-kind frocks with simple feminine silhouettes, and authentic vintage details. 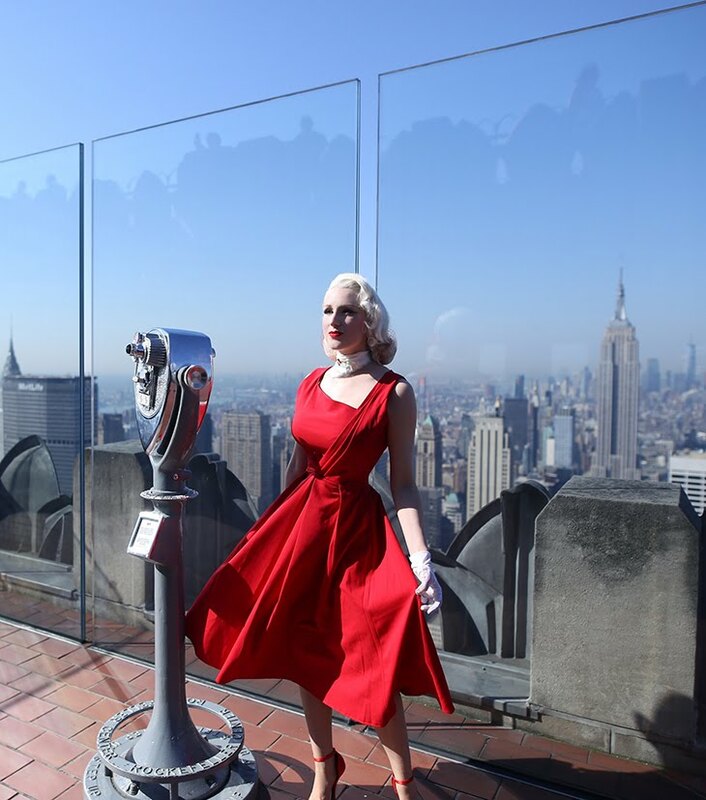 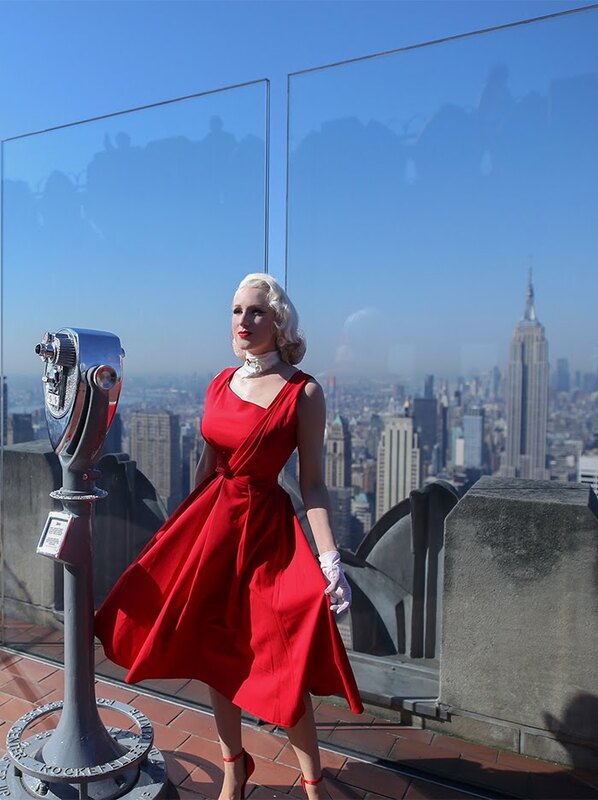 I felt extra 1950's New York City in this beauty, looking out across the world.